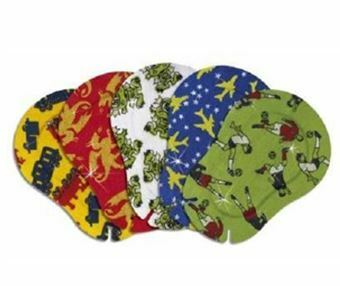 Occlusion eye patch for boys with cotton layer, ergonomic shape, nasal slits and a very skin-friendly adhesive. Every box contains 5 different designs with glitter effect! Thin, soft, light-excluding centre pad.